“Fashion is a part of world and part of history. 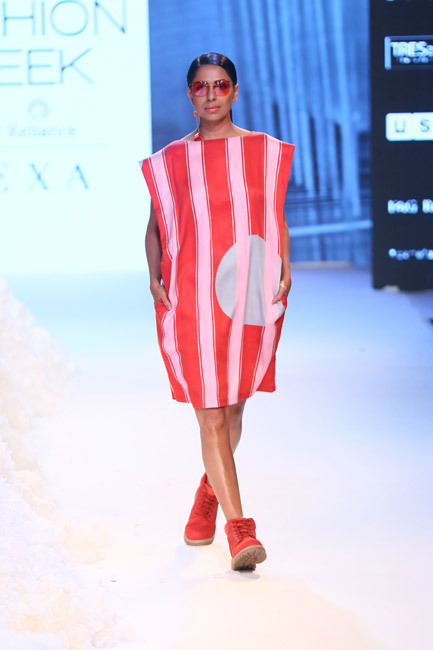 It’s not a meaningless swirl of clothes. 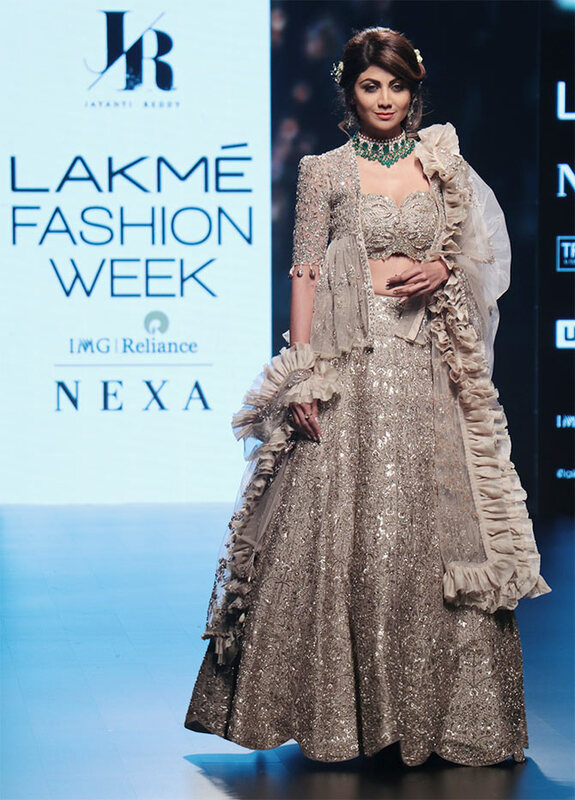 They reflect the times.” Talking about fashion, Lakme Fashion Week is one the oldest but the best fashion shows of our country. 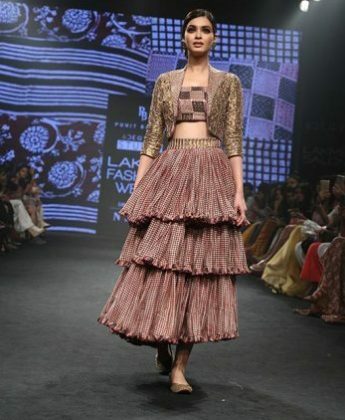 Lakme fashion week has always come up with most interesting and admired outfits. 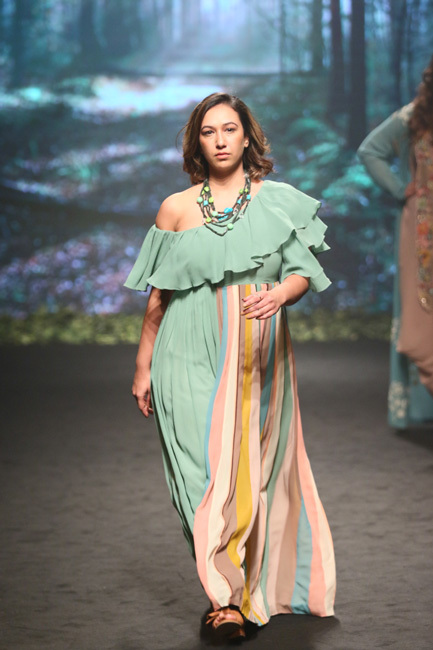 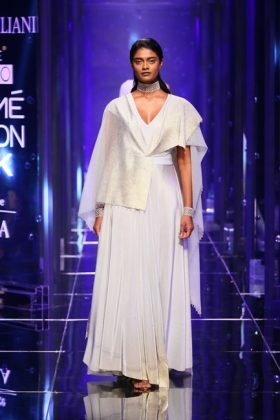 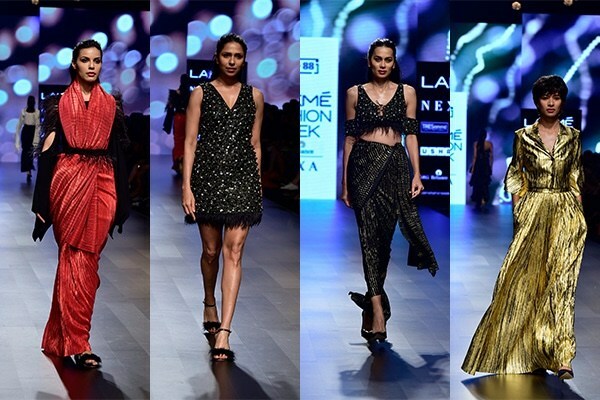 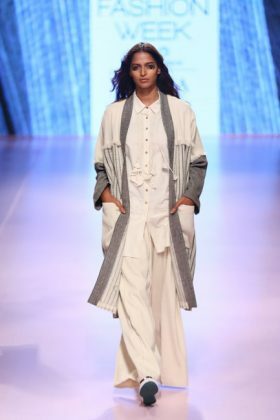 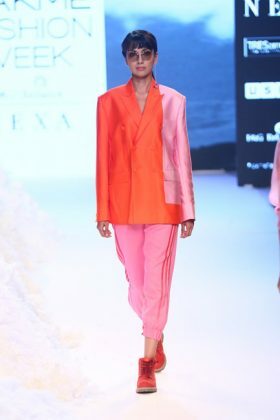 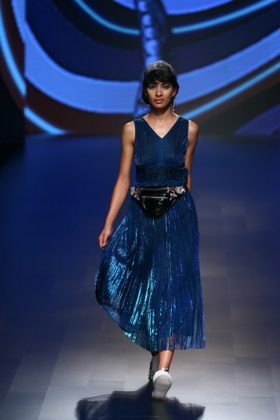 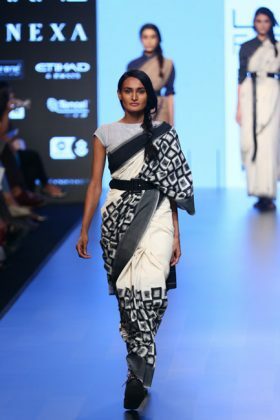 “Redefining future of fashion and integrate India into the global fashion world.” Lakme Fashion Week Summer Resort 2018 was about everything you could imagine. 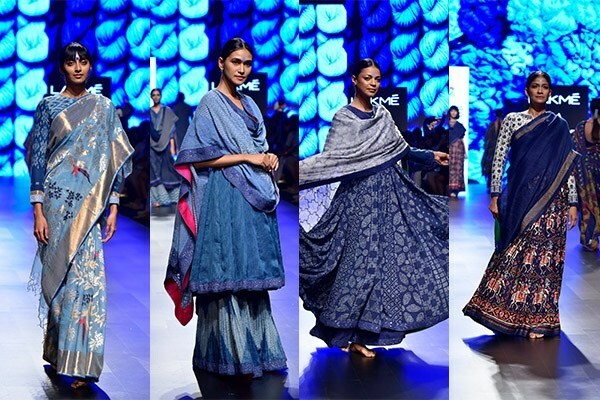 From best street style to ethnics and from classy outfits to sassy outfits everything was found on the ramp last week. 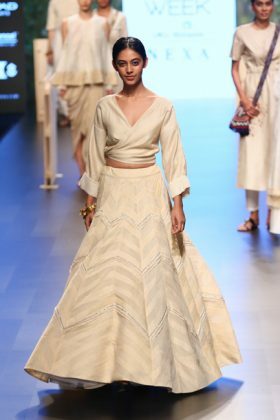 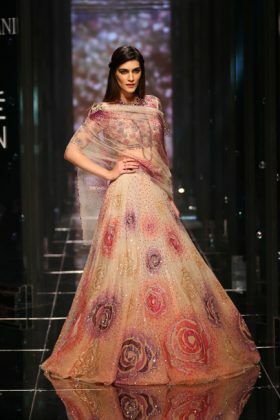 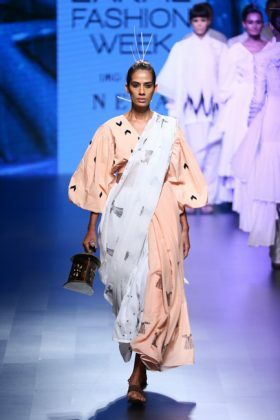 “Songs of Summer” by Anita Dongre was a combination of some stunning pastel colours of light fabrics and floral motifs. 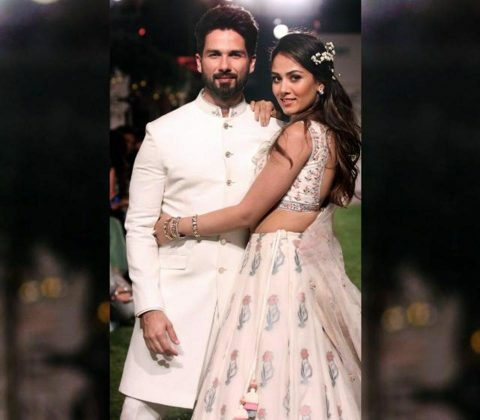 Stylish couple Shahid Kapoor and Mira Rajput were the showstoppers for her show. 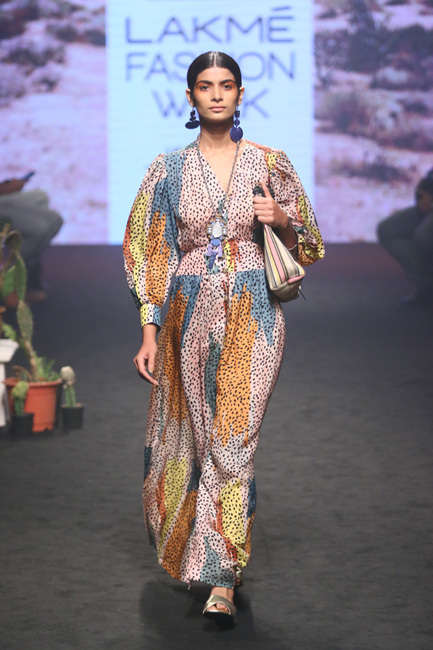 Safari dresses, coats, jumpsuits, blazers, skirts, blouses and jackets graced the runway at Rara Avis’s show. 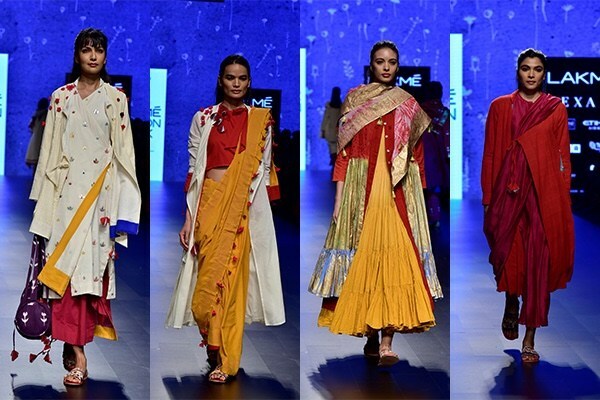 Mixed prints in vibrant colours were the grace of Ritu Kumar collection. 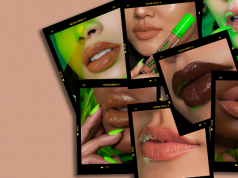 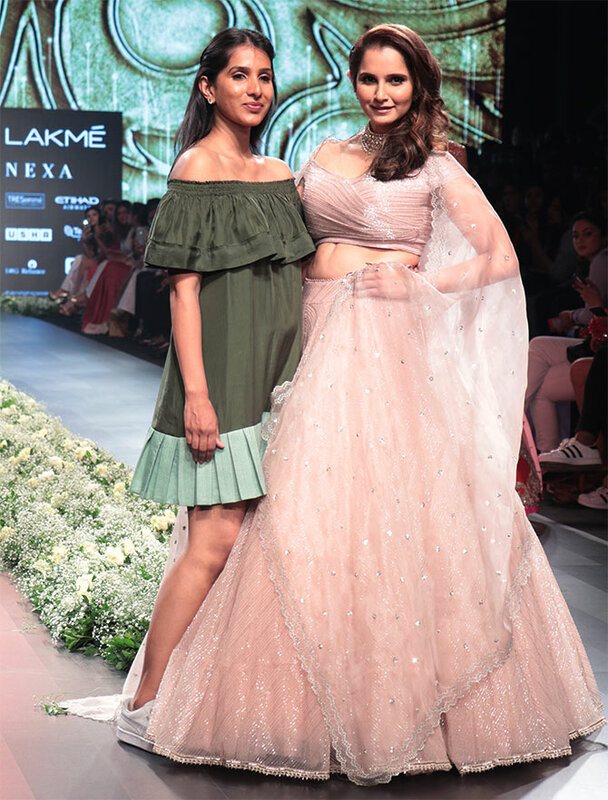 Strengthening the notion that people are beautiful in all shapes and sizes, Rixi and Tinka Bhatia made everyone believe that curves are blessings. Day of handlooms was a hit in all the senses. 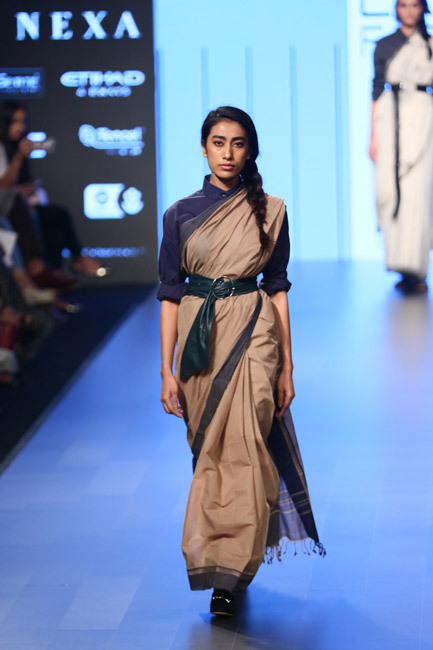 Day 2 was taking a switchover from handlooms to sustainable fashion. 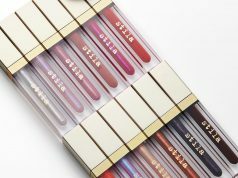 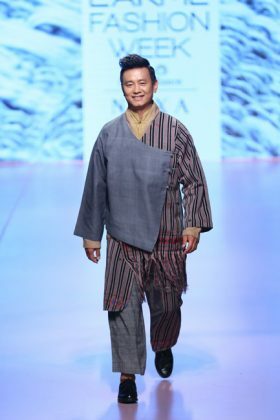 Efforts to promote designers who are championing the cause are not only made on the runway but also seen among the crowd that was seen dressing differently on this day. 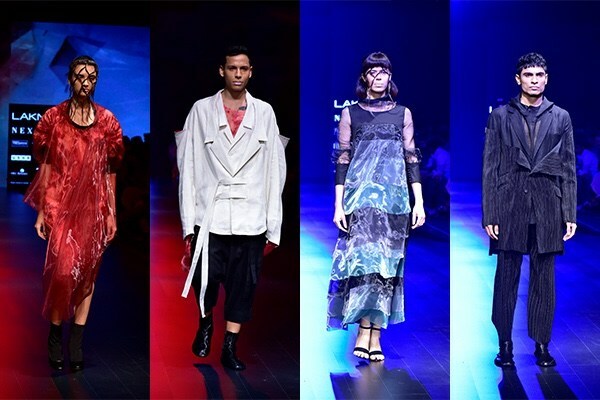 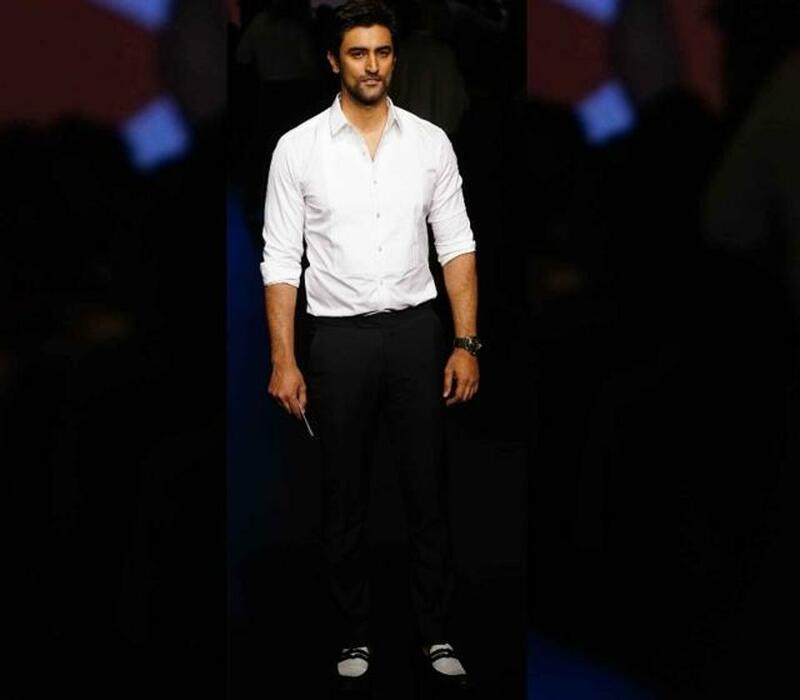 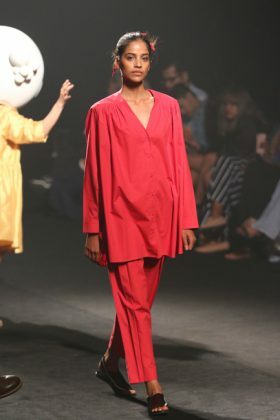 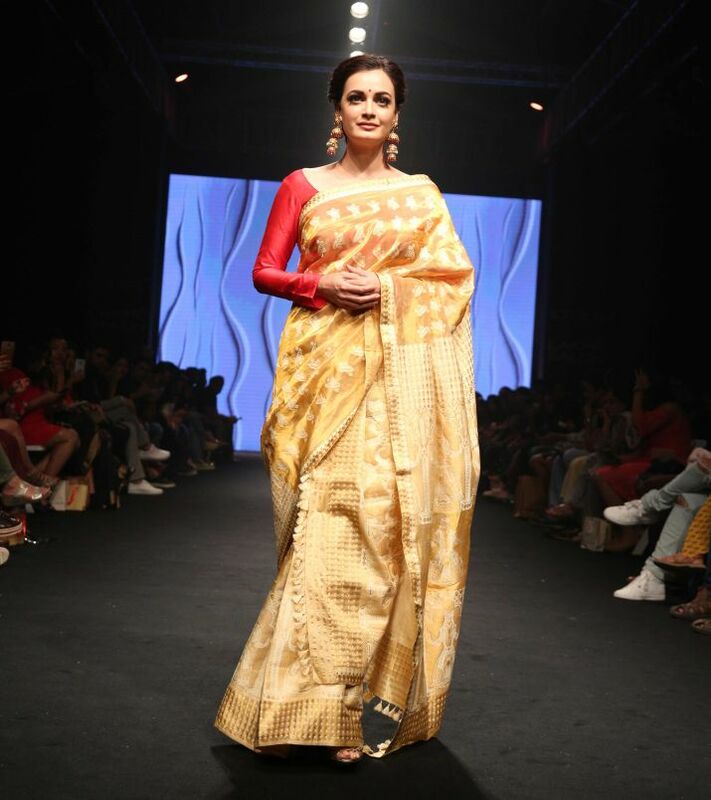 Rajesh Pratap Singh was openheartedly welcoming some fresh colours to the ramp like dark red, bright yellow and light shades of blue. Hemang Aggarwal reinvented the famed textiles of Benares with modern weaving techniques and metallic motifs. Santanu Das collection was all about silk, cotton, khaki and jamdani. 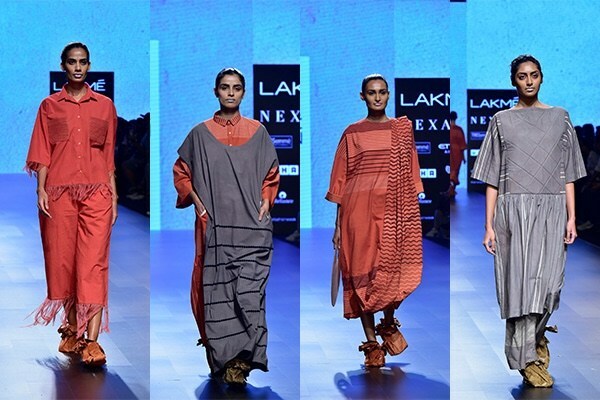 All easy going fabrics which can relax a person. 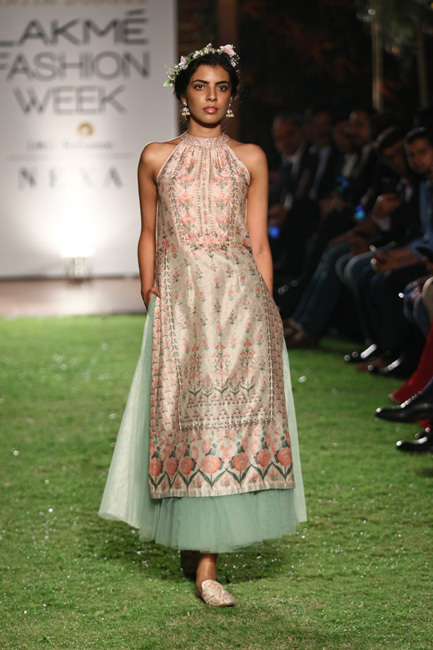 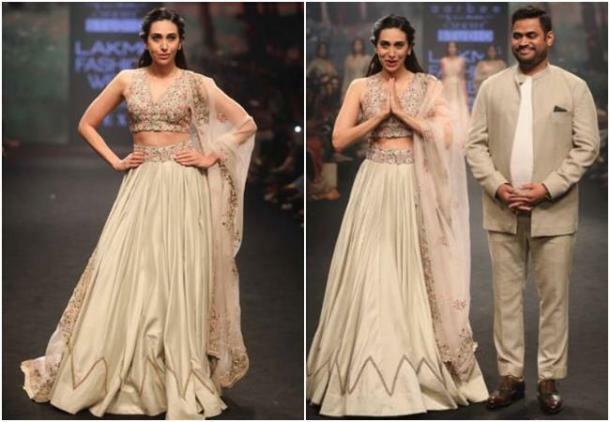 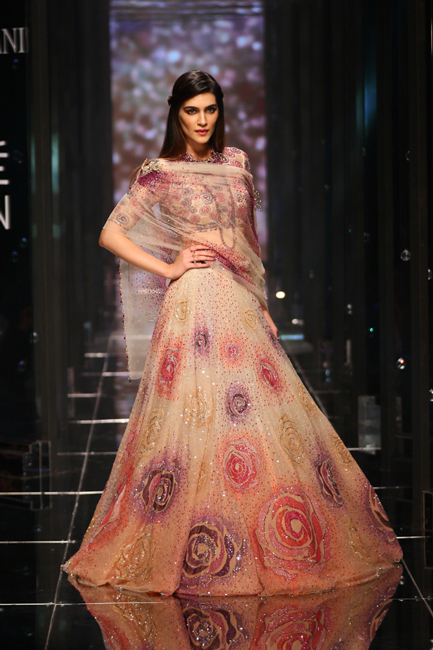 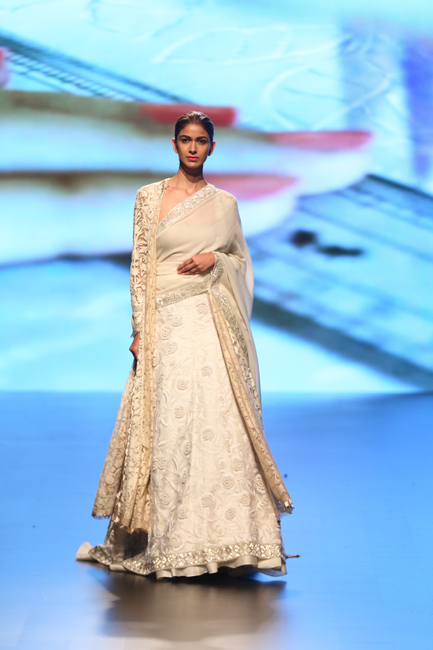 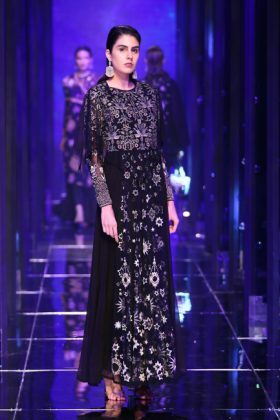 Tarun Tahiliani collection was delicate, full of mirrors and other embellishments which nailed the ramp. 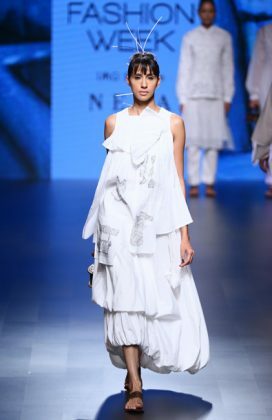 The Woolmark Company and love of million heart, designer Manish Malhotra collaborated for a collection made with natural fibre Merino wool. 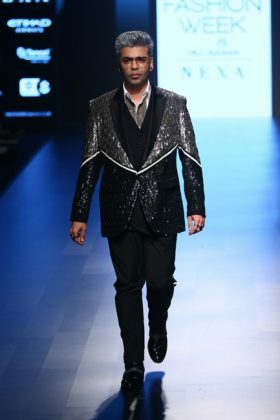 Falguni and Shane Peacock ramp collection included embellished and sequinned jackets, bombers, suits, coats on skin-tight trousers for new fashion wardrobe. 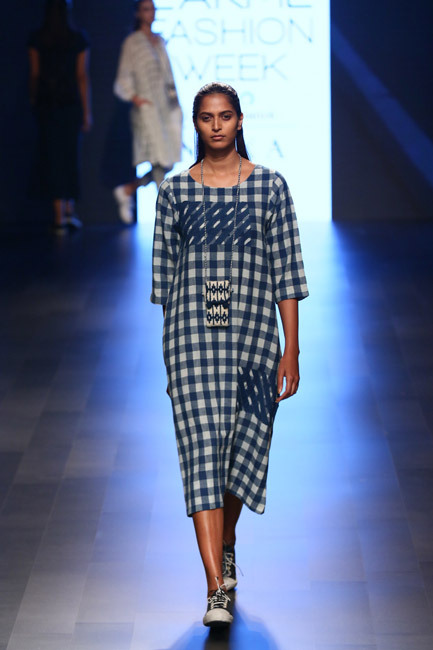 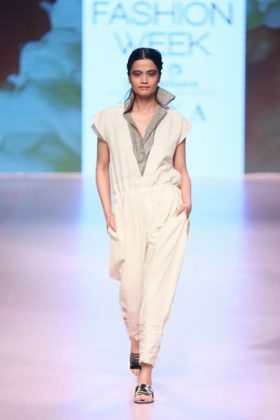 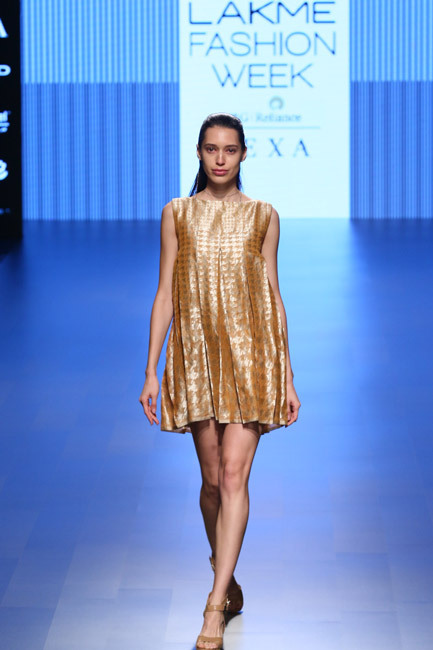 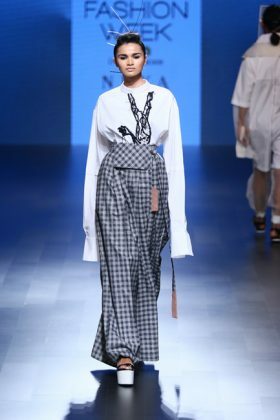 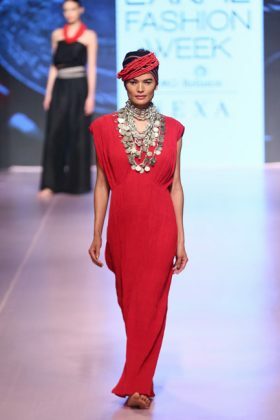 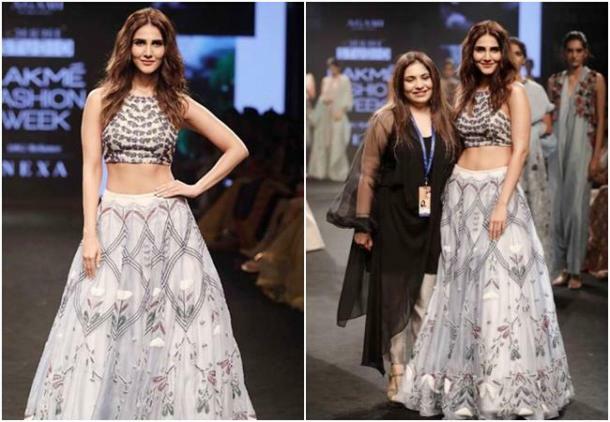 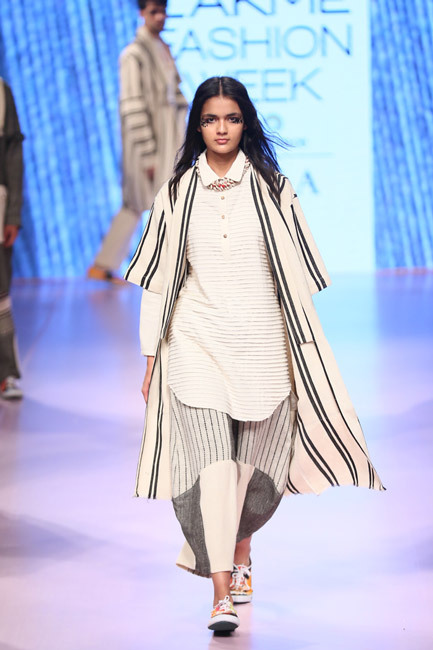 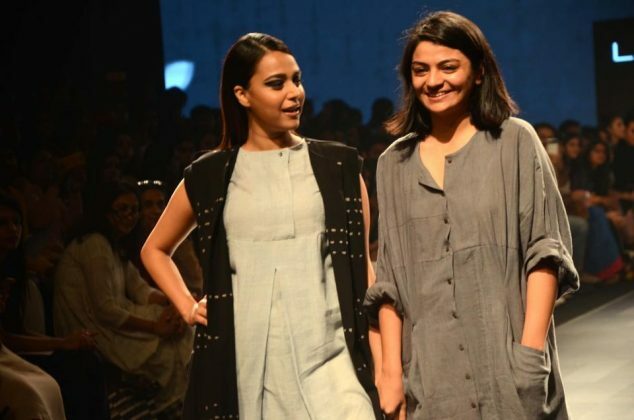 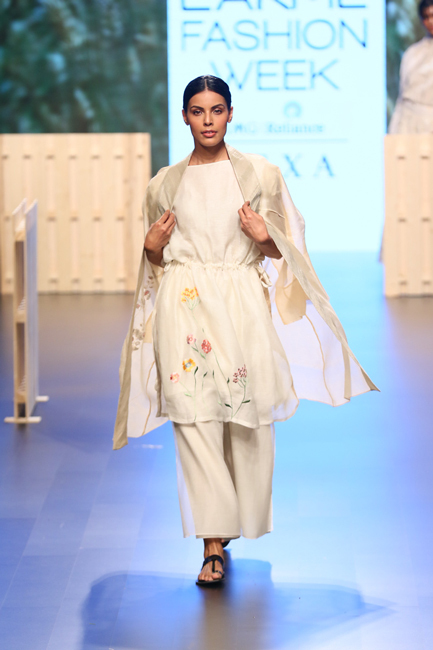 Ka-Sha, Karishma Shahani Khan created Love Story with easy and relaxed silhouettes. 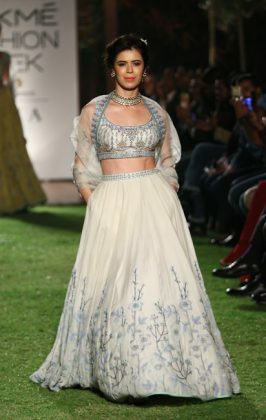 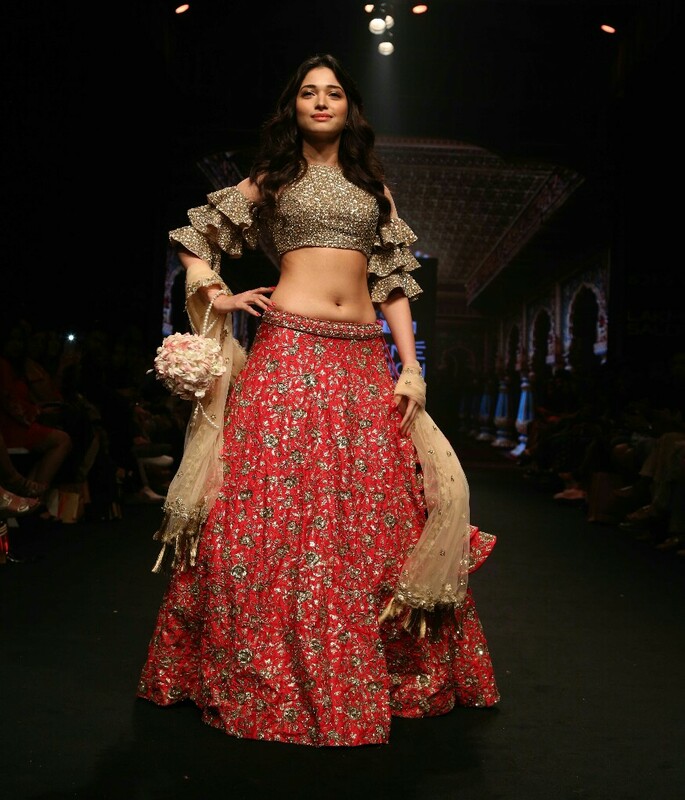 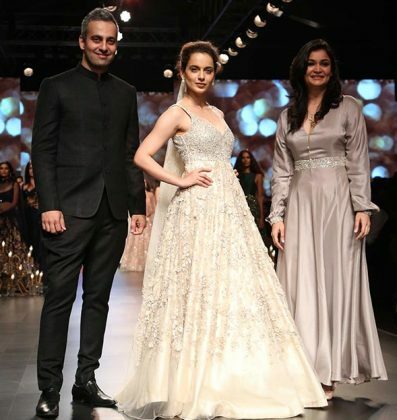 Collection of designers Shantanu & Nikhil, Princess Pea X Lovebirds, House of Kotwara, Payal Singhal, Reshma Kunhi, Shloka Sudhakar, Ashwini Reddy, Caprese X Nishka Lulla, Shriya Som, SVA by Sonam & Paras Modi, Anushree Reddy, Verandah, Aikeyah, Saaksha & Kinni walked the ramp on the 4 day of the fashion show. From some exquisite designs to new age style and fashion to top celebrities walking the ramp, it’s been an eventful show till now. 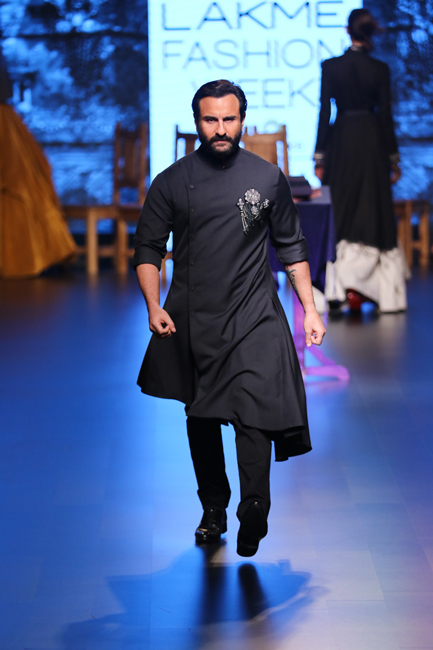 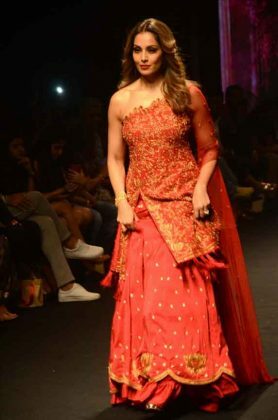 Many Bollywood celebrities walked the ramp this day. 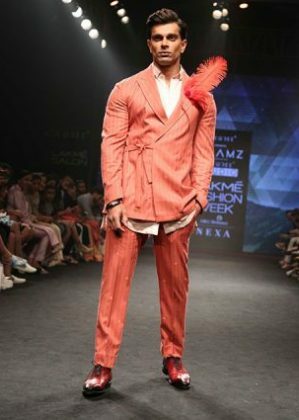 Indeed it was the day of fashion and celebrities. 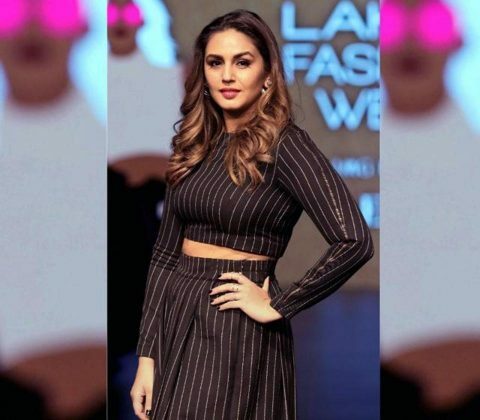 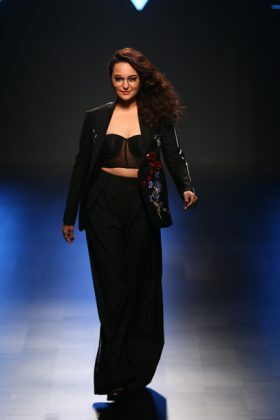 After Kangana Ranaut, Pooja Hegde and Shilpa Shetty walked the ramp, a host of celebrities stole their thunder in the afternoon session. 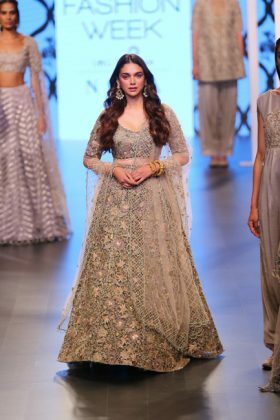 Vaani Kapoor, Diana Penty, Malaika Arora Khan, Kiara Advani, Karishma Kapoor, Karan Singh Grover walked the ramp for different designers. Later Begum of Bollywood Kareena Kapoor Khan set to end the show with the Lakme Absolute Grand Finale. 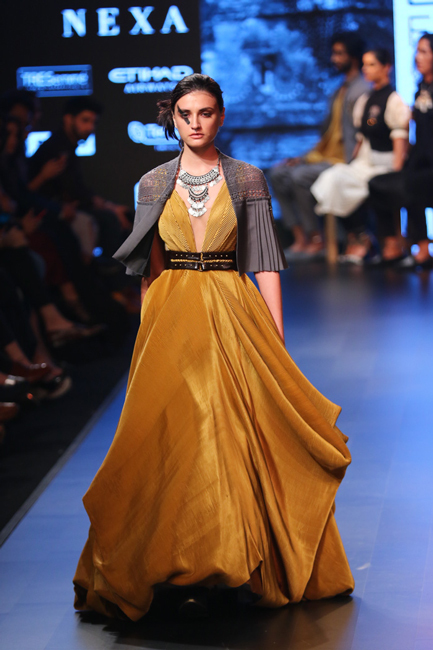  So, it’s time to give a fashion twist with everything interesting we got from our designers.